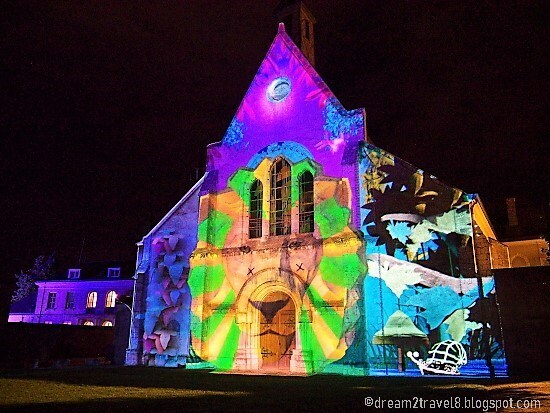 It will be September soon and whenever this month approaches, I will be reminded of how much fun I had at the Chartres Light Festival 2017, a night where the creative use of lights decorated the city of Chartres and turned it into one giant art masterpiece! 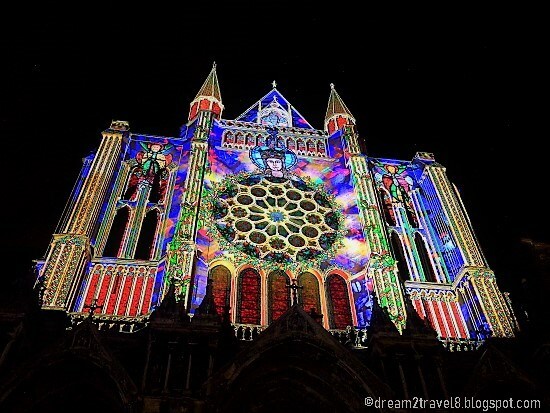 Chartres Light Festival is into its 15th year this year, with the first light show being showcased in 2003. 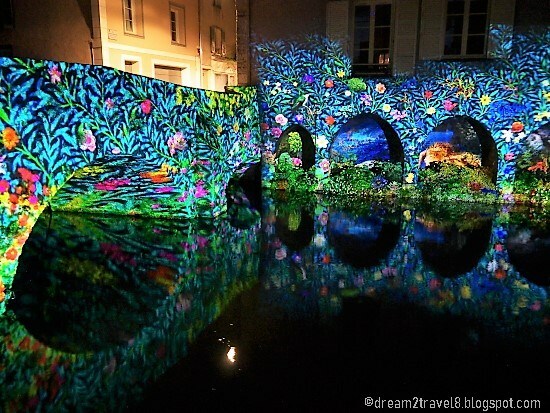 Since then, every year, the city will provide more than 200 consecutive evenings of light shows from April to October, with the main light festival event being held on a particular Saturday in September. 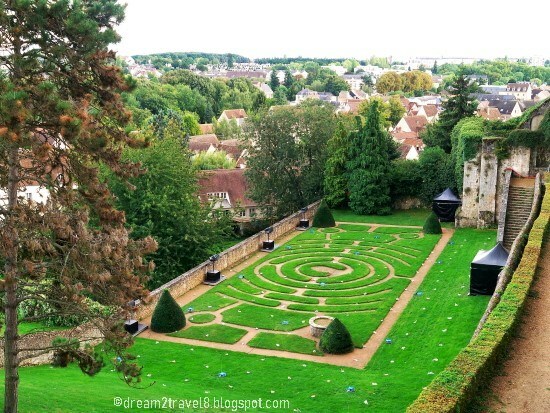 A lovely and scenic view in Chartres! 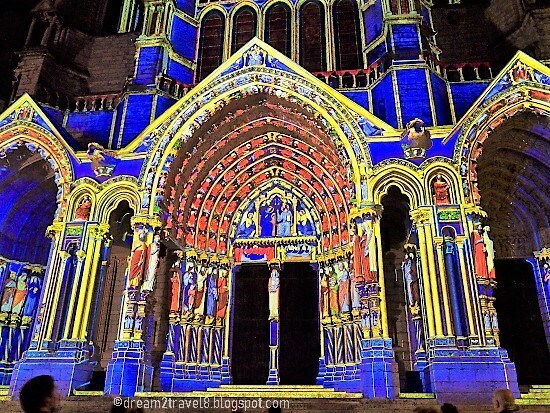 Of all the light festivals that I had attended, I was particularly impressed by the grand scale of the light festival in Chartres! 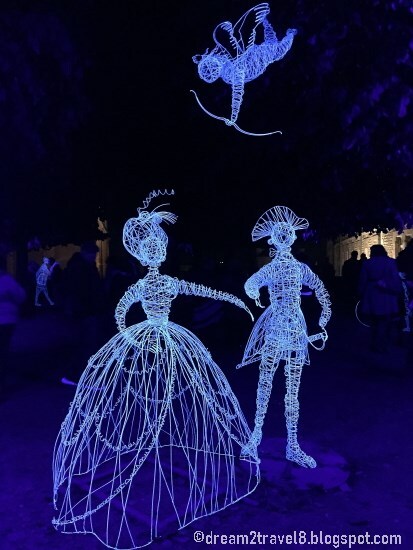 With more than 20 monuments and major attractions in the city being illuminated with artistic lights and music, it literally felt like the whole city had come alive and partying alongside the tons of visitors from all over the world who had specially made a trip down for the event! 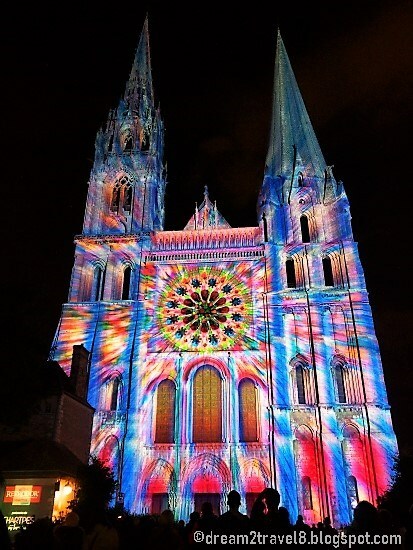 My husband and I had planned a weekend trip to catch the light festival at Chartres and we even managed to coax some friends to join us for the event. 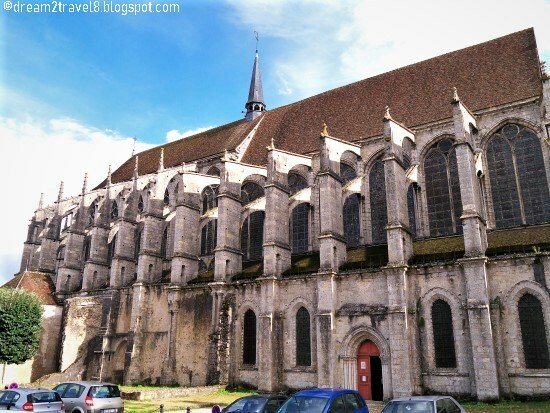 We arrived at Chartres train station in the late morning and proceeded to head out to do some exploration of the city after dumping our bags in the hotel. 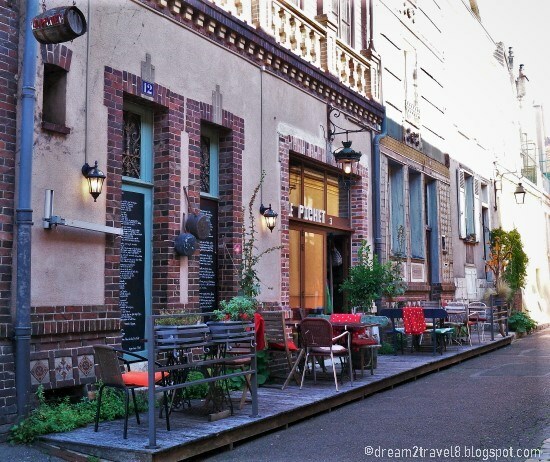 It felt like a normal small city in France, with little or no hints of the exciting events to come once night falls. 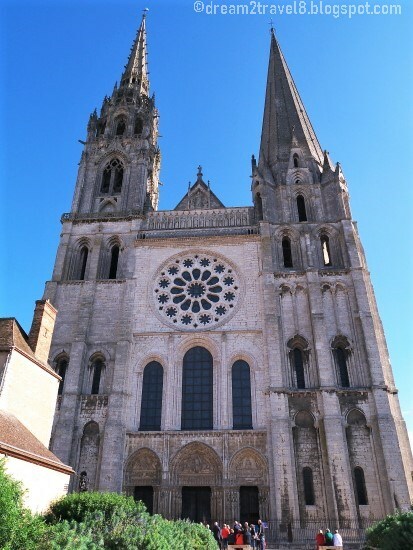 Our first stop was to Chartres Cathedral, the famous landmark in Chartres. 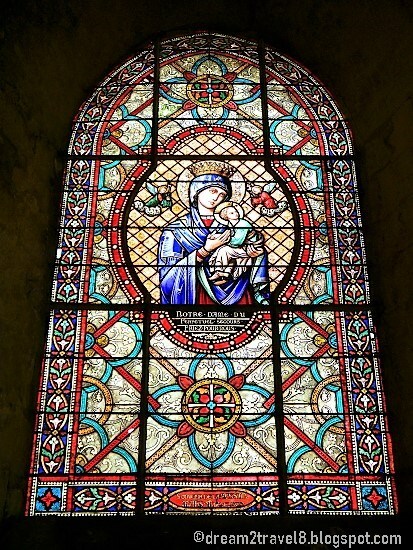 The cathedral, built in the Gothic and Romanesque styles, has been listed as a World Heritage Site by UNESCO and I could see the reason for it as we got closer to it. 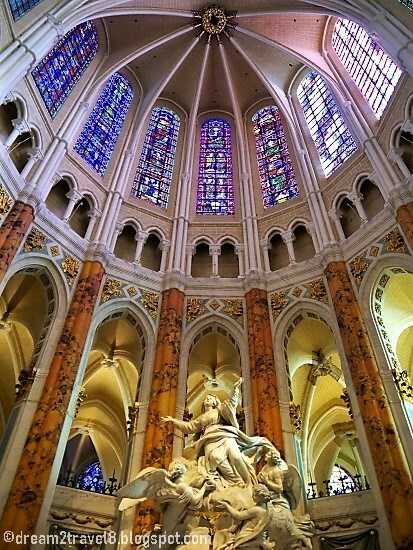 With its towering height, well preserved exterior, and impressive stained glass window, its majestic facade has undoubtedly drawn many visitors towards it! 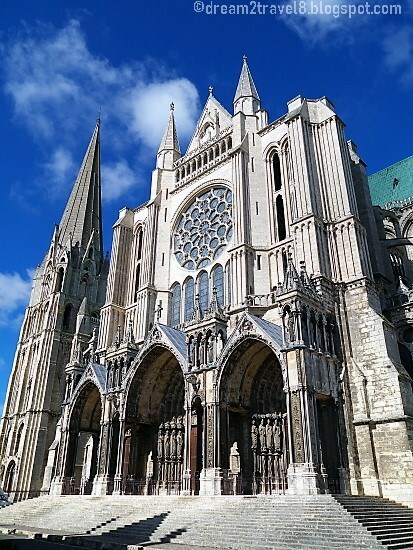 After exploring Chartres cathedral, we continued on our relaxing stroll through the city. 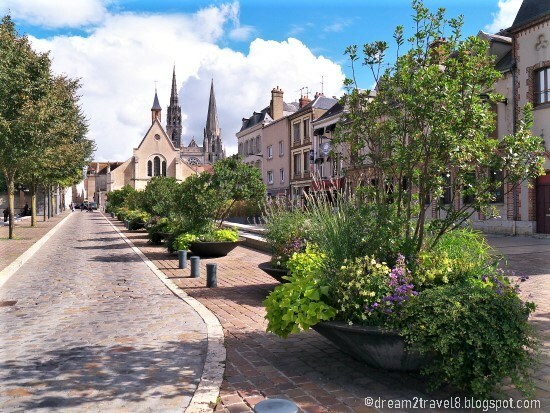 Chartres is really a beautiful place to be in, with a good mix of the old and new building facades, the small alleys lined with cute cafes, the lively market place and the numerous well preserved monuments for visitors to explore! While walking, we chanced upon Saint Pierre church, whose massive and impressive outlook caught my attention immediately! 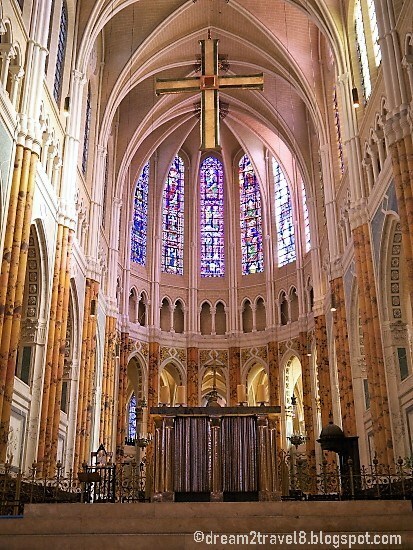 The church was huge and we had a great time admiring the stained glass windows and the fine details carved out all over this beautiful architecture! We decided to head back to the hotel for a short rest after lunch so as to conserve our energy for the light festival later at night! 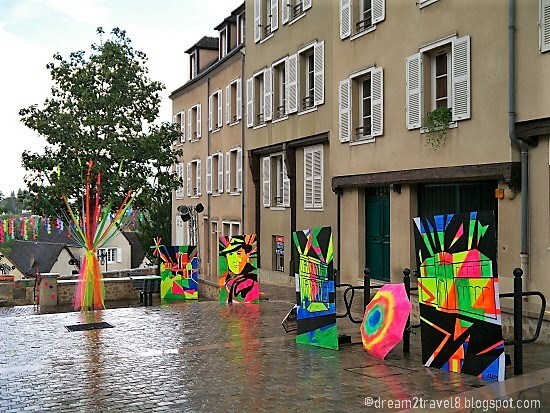 While walking back to the hotel, we noticed that the locals were starting to set up the props for the night event later on and it just make us all the more excited about it!! After what seems like a particularly short rest (we could hardly rest as we were too hyped up for the event! 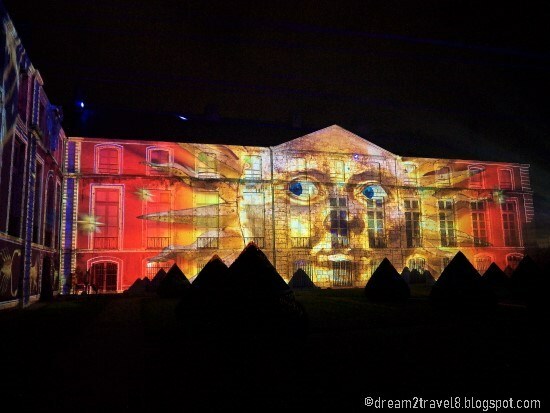 ), it was time for the city to come to live and the light festival started off with a bang! 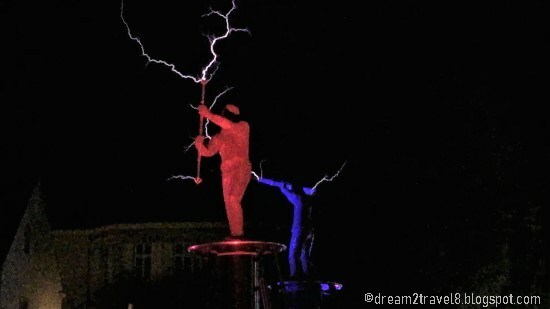 The first show of the night was held right smack in the city center where two men stood on a platform and showcased a duel dance routine involving electric currents, catching everyone’s attention with its catchy music and mesmerizing illumination produced by the currents! The dance was both horrifying and exciting at the same time due to the danger and excitement of incorporating electric currents into the show! Although there was a huge crowd gathered all around the platform, I was totally caught up in the captivating show, with no recollection of what was going on around me! It was a brilliant start to the night’s event! 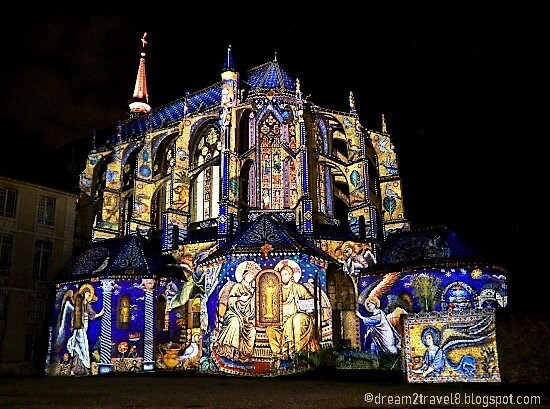 Hope that you have enjoyed the photos and be dazzled by the impressive light displays that I had captured of Chartres Light Festival 2017. 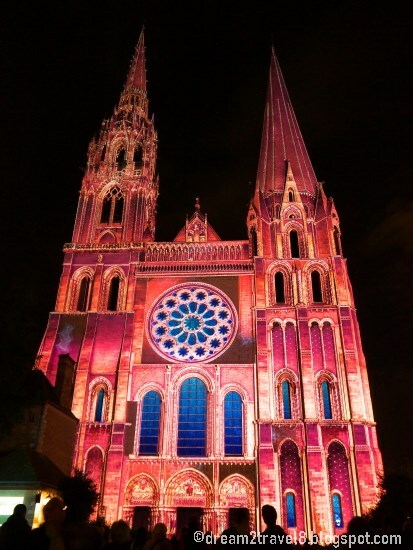 If you are interested to head down to Chartres for the light festival, it will be on 15 September 2018. Have fun, take lots of photos and do share with us! Cheers! 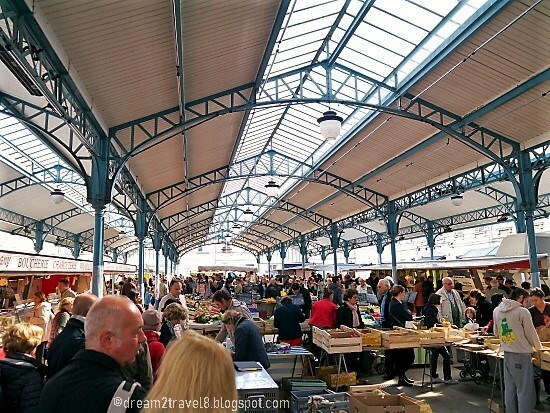 Hi fellow travel blogger, thanks for reading and am glad that you enjoyed this post! 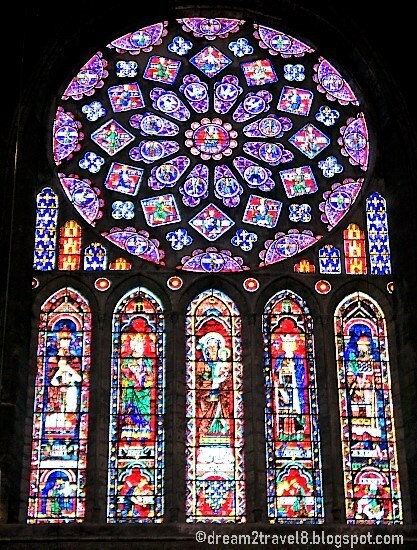 I have got to go visit for this now. Sounds so neat. 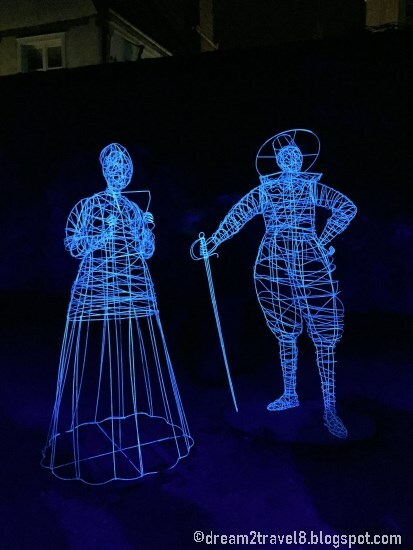 Hi Marianne, thanks for reading and hope you have a great time at the light festival if you happened to make it there for this year's event! 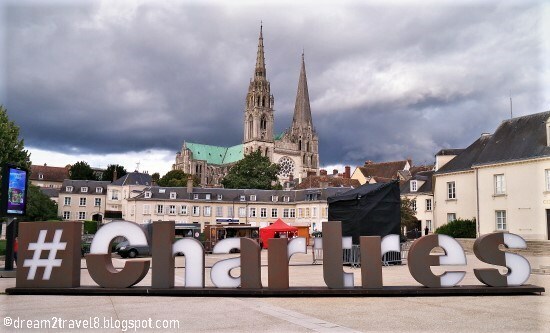 Chartres I've heard is so cute and your pictures definitely made that true. The lights are so fun and innovative. I would love to see that. Hi Alison, thanks for reading and I am glad that you enjoyed this post! The lights were indeed very lovely and creative, it was a memorable event for me, hope you will have a chance to experience it soon! Hi Valentini, thanks for reading and I am glad that you enjoyed this post! Enjoy the festival!! 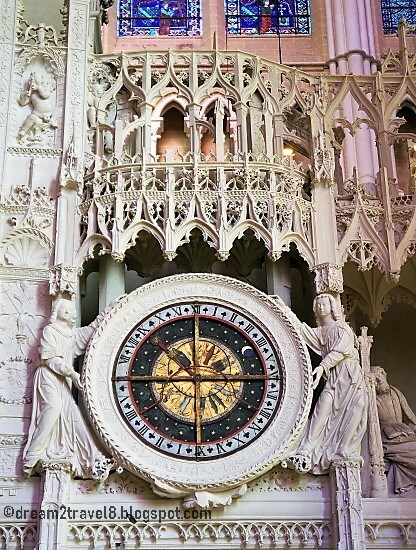 Chartres looks really enchanting and straight out of a painting. When I looked at the photos first, I was struck by the beauty of the place. And as I scrolled down and looked at the place erupting and glittering in lights, I was stunned by the beauty. What a dazzling festival this is. 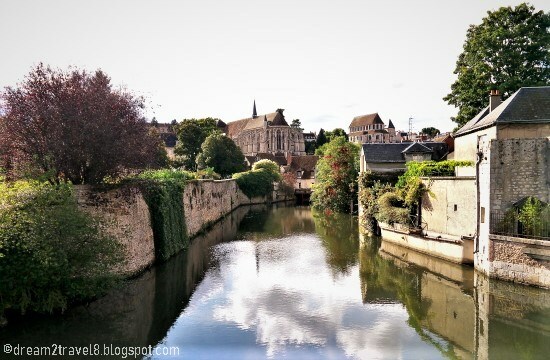 Chartres is such a lovely place to visit - the narrow alleys, the majestic architecture of churches, the mix of old and new buildings, beautiful views and tranquil vibes, everything is so charming about this place. 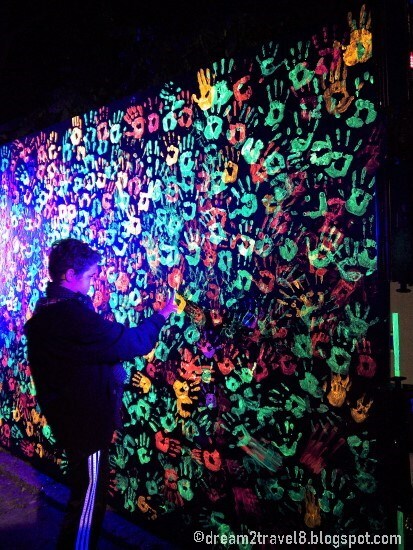 I love the colourful and vibrant light festival. It truly looks like a magical experience. Hi Shaily, thanks for reading and I am glad that you enjoyed this post! 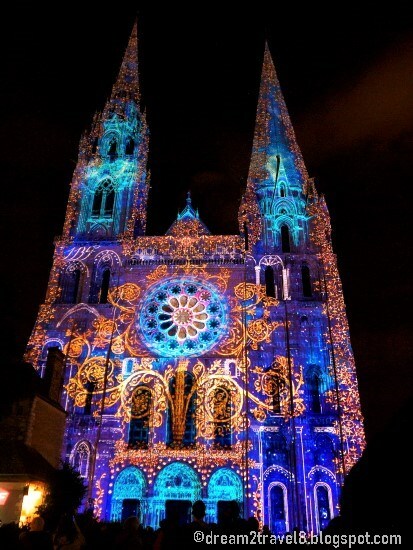 Chartres is indeed a lovely city and the light festival made it all the more worthwhile to explore its beauty! Wonderful work of Art. I’m so glad I saw this post.